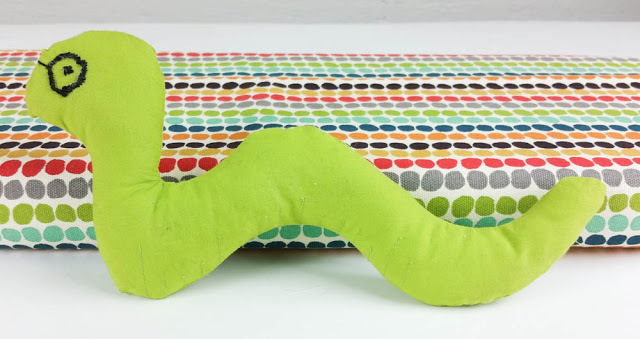 Linus, The Fabricworm Mascot, is offering up his favorite set of Scraps to a lucky winner! I went straight to my home stash and picked out a bundle of some of my all time favorites! 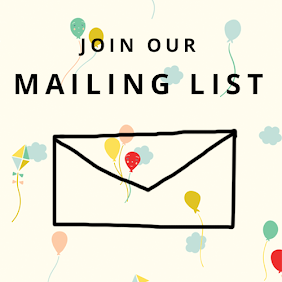 be to share Linus' favorites with 1 lucky reader! 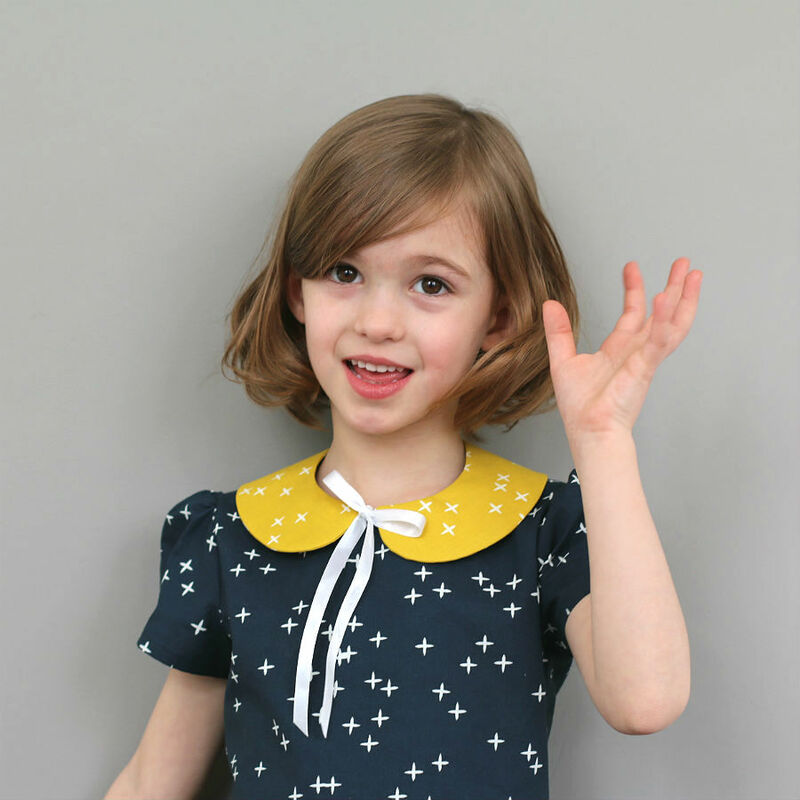 To enter simply name a theme in which you'd love to see made into a collection of fabrics! I like the Carnival Sea bundle...but a more appropriate Sea bundle for California would include some gray - so the Pacific Ocean bundle?? I would love to see a fabric line that emulates a vintage flea market! Great Giveaway! I'd like to see a fabric line that evokes the feeling of a french kitchen. Sorry .... I just read Julia Child's bio. I would love to see a set of Lego inspired fabrics ... one print with Lego-type blocks all over it, along with coordinating brights and stripes. Can you tell I'm trying to plan a Lego-themed party for my son and not finding any fabric? Ha! Thanks for the great giveaway! Theme: Birds of a feather. 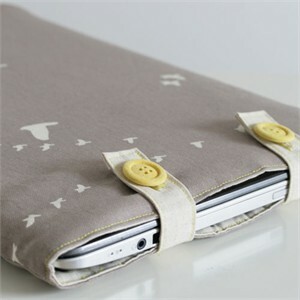 There seems to be some really cute fabrics available right now with owls and birds of other various sorts. How fun to have several of these together! I would like to see a theme with forest animals in them. 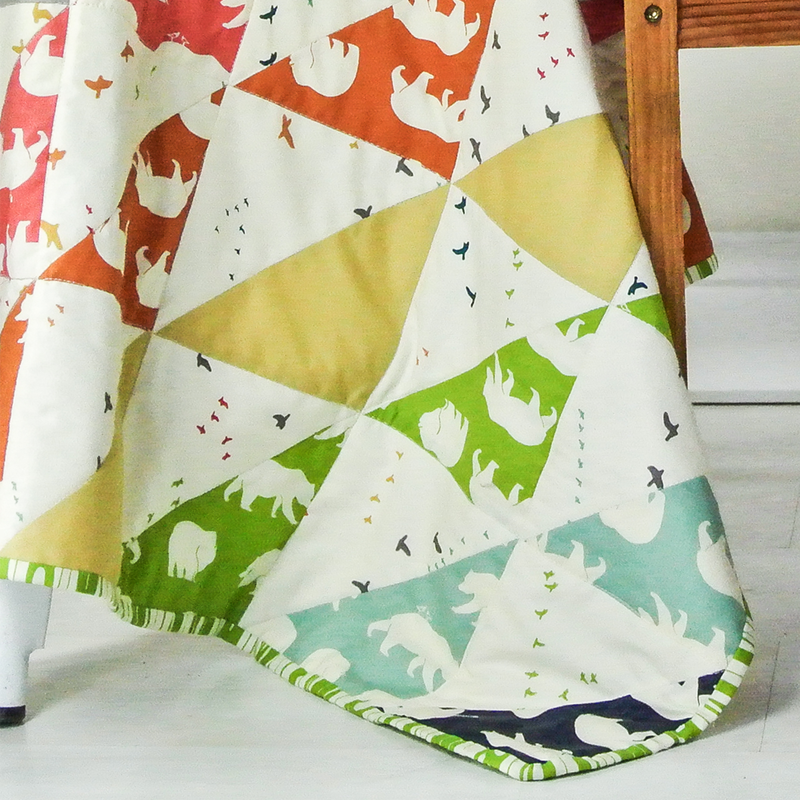 Some fabric with foxes, owls, trees, leaves and maybe even some solid greens in it. And perhaps some brown for autumn? Cupcakes!! Who doesn't love them? 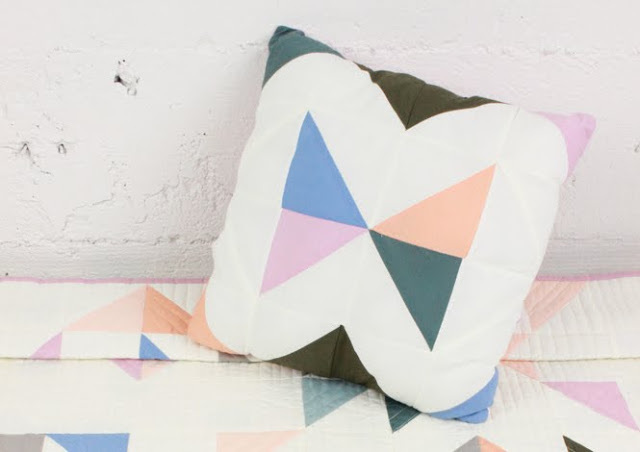 Would make a perfect little girl's quilt! I say since the air (in some places) is getting a bit crisp, there should be a fall theme! Yay seasons! This time of year, I'm thinking apples. (And honey.) Lots of apples. I would love a bird theme or a mid-century modern theme. I tend to buy a lot of fabrics representing these themes. Great giveaway! how about a vintage kitchen theme? Pressure's on there's already some great ideas posted here! Mine would be Mucha or more generally Jugendstill. I really love the swirly designs, pretty ladies with flowing hair and dragonflies. Burnt Toast! Lots of great neutrals (grey, black, brown, etc) to help make my colorful stash pop. I like the idea of vintage sheets, but don't like the quality of the fabric. I'd love to see some repros of some of those fantastic vintage sheets-in 100% cotton. A fall theme...apples, leaves, pumpkins (just fall, not halloween) Lot's of deep oranges, green, red, yellow...all the beautiful fall leaf colors!! How about a black, white, and red all over bundle? Thanks for the chance! Hmmm I think I would like to see a group of fabrics based on the redwoods. We just visited them in CA. crisp blue sky, all the greenery and foliage and the fantastic redwood trees. Wouldn't it be swell to see Linus on fabric? totally cool... he could have other little critter friends too, and cute mushroom and tree trunk house (with bookshelves of course..). I'd love that! I would go for a 'Seventies' fabric theme. Prints inspired on the wonderfull prints of the seventies. I love the Echino fabric line. The colors and animals (giraffes, birds and elephants) are so cute! I have to second a theme I see in the earlier comments -- books! 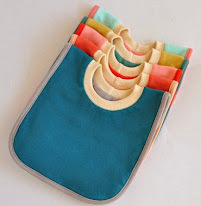 I'd love to see vintage aqua as a theme - great giveaway! Oooo I second the black, white, and red all over idea! Super cute! I would also love to see vintage flea market, or a bundle with fall colors with deep purples. Some sort of romantic theme, that's really girly and frilly. I want to see a back-to-school theme with chalkboards, pencils, apples and maybe even a bookworm! Haha! I would love to see museum themed fabric lines! How cool would that be to have interpretations of artifacts or images of famous museum architecture...perhaps that's just because I'm a curator though :-P Love the fabrics Linus is sitting on! We would love to see a "vintage sewing room" theme with fabrics featuring thread, needles, scissors, sewing machines, dressforms, ribbon, etc! I know someone already mention vintage, but I would really like to see some vintage florals. I'm in love with seventies, vintage sheets - especially the florals of the time period. I'm in Dr. Seuss mode right now with my little guy. summer camp (a 1940's summer camp like in the American Girl book Molly Saves the Day! )...i think someone like Heather Ross would do this fantastically! 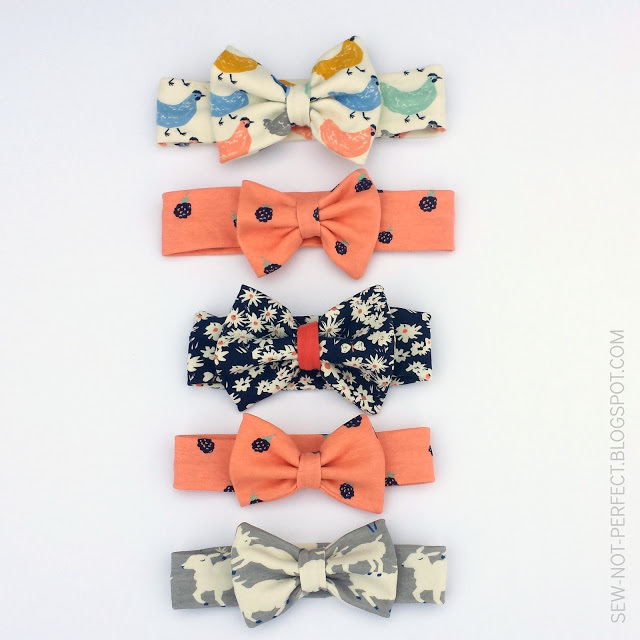 i'm picturing little canoes and tiny arts & craft bead necklaces! I would like to see a Sea Animals bundle with an octopus, turtle, sea horse, etc. How about a travel bundle? It could incoorporate images of airplanes, trains, cars, etc., plus some great historic sites, a different swatch for every continent... Could be fun! I have 3 sons. I find it much more difficult to find fabrics appropriate for boys. I would LOVE to see an entire sports line...not just 2 or 3 prints. And it would be even better if it was a vintage sports line :o). Give my thanks to Linus! 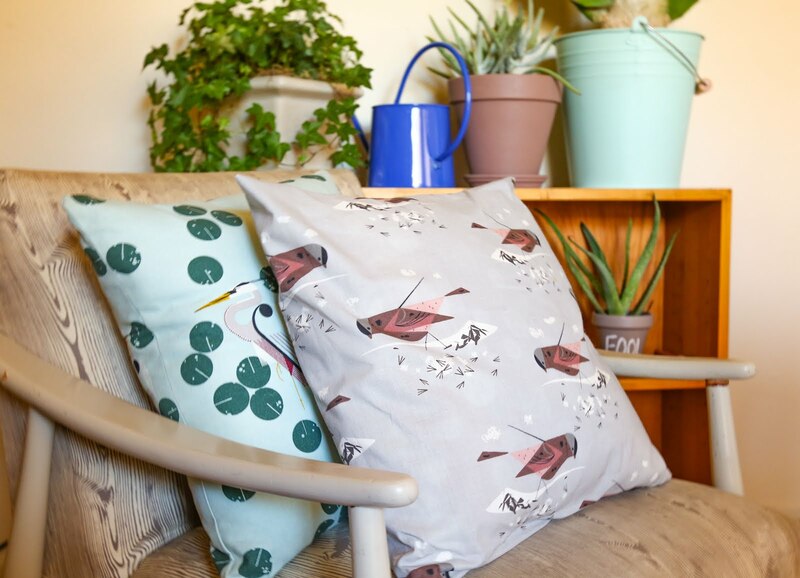 I would love to see a collection of bird-themed fabrics. i would like to see a fabric inspired by Matisse's cut-outs: both the shapes and colors. Not sure if there is a royalty issue here but the result would be gorgeous! I would love to see an autumn bundle. great give away. How about Tomboy Chic? I have two girls but we aren't into super-girly, lacey, frilly stuff. A library-themed line would be lovely. And great to make book/tote bags from! How about return of autumn? Yellows and reds, apples and leaves. You can sense the changing light is here. Ooh, I'd love to see a bundle called "walk in the woods," full of lovely greens and browns, maybe some yellows thrown in as well. Or a sea glass bundle, which is all muted aquas and sea greens and such. I also think a Circus theme would be nice, complete with elephants and tigers, acrobats, and even (gasp!) clowns. I am ready for fall! A very funky fall. Apples and birds, oranges and reds and golden yellows! All things Fall!! I would love to see a vintage storybook themed bundle! Great giveaway! I love chickens, so anything with chickens and roosters would be great! And coordinating chicken colors, red, yellow, brown. I'd love to see geometric prints. What a great giveaway! I'd love to see a fabric line that has iconic 1970s style...I hope that will be coming with the organic line you're doing! :) Thank you! I'm always drawn to leaf prints, so how about an autumn leaves theme? 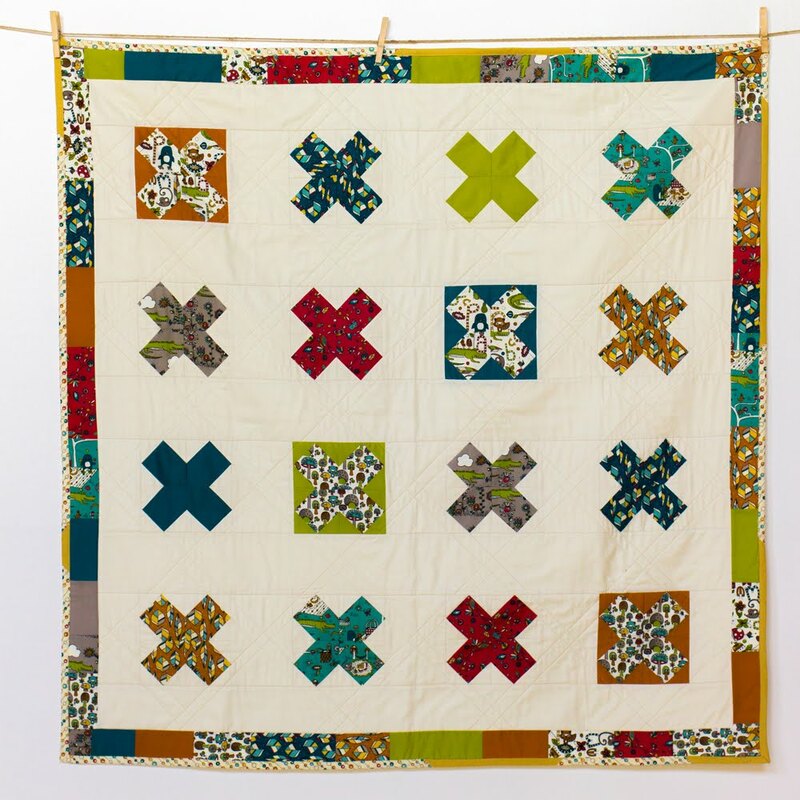 I'd like to see a gypsy quilt bundle, with lots of different bold patterns that go together well but are very bright and unusual. I'd love to see a pirate-themed collection for the little guys, cute things like parrots and treasure chests and pirate ships instead of heavy on the skulls. I would love to see a theme that captures the unique style of the French Quarter in New Orleans. It's fall, so that makes me think of apples - greens and reds and golds. Yum. I would love to see a bundle with a chandeliers theme in grays, bright pinks and blacks. I'd love to see a line that uses veggies, leaves and flowers to make geometric or damask shapes, with muted jewel tone colors. The kind of thing where you don't notice what the pattern is made up of, at first, but it rewards a closer look. I'd love a field of sunflowers and tulips, all mixed! Vintage typewriter keys on fabric! Incorporate the vintage look of a fabric but with text. I would love a classic Halloween theme! Cats, crows, leaves, costumes, candy, all that awesome goodness! I'd like to see Moroccan-type abstract designs! My daughter loves turqouise, soI would love to see a girly turqouise and purple bundle! I would like to see a theme of Summer Fruit and Vegetables. I think a theme of rich fall colors would be great - or some lovely brights in anticipation of the dreary months ahead (I'm from the Pacific Northwest). How about a Mad Men theme or a Lost theme. I really like the new Daisy Doodle too.. I have to second the earlier suggestion of vintage sheets. love em! Thanks, Linus! I'd love to see something 'bug' related. We call my daughter "lovebug" so I'd love to see somethings with ladybugs and other lovely bugs. I would like to see a fabric line inspired by birds. I will miss them with winter fast approaching in Minnesota. 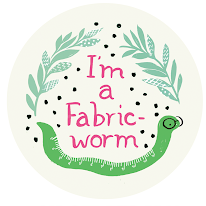 However, Linus the fabricworm may be afraid he would get eaten. I would love to see another line similar to flea market fancy ( or a remake of said line heehee). I wouldnt mind seeing a modern take on vintage sheets either. hmmm, shades of yellows and oranges? vintage fruit prints? 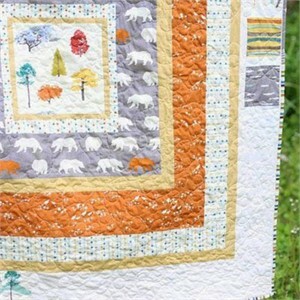 woodland animals-- wood tones and wood grain, forest creatures, grass prints. I think a nice under the sea collection would be great. With rich deep turquiose and purples. Coral reefs, maybe a mermaid or two . . . Thanks for the giveaway Linus! I would love to see a rainbow theme, so simple but I long for rainbow arrangements I don't have to scout myself. Thanks for the fun give away! I would love to see a 'tourist town theme'...I just got back from the beach and they have shops and flowers and beach and ocean and ...I love it. I would love an art deco collection! I would love to see a bohemian autumn-y set... mmm. Fall. Yummy! A cool breeze - not sure what that would look like, but isn't that always the most wonderful thing! turquoise and red-- my current favorite color combo! Oh, a bundle that reminds me of the Paso/SLO/Santa Ynez area of California during the dry months (I know - most of the time) would be lovely. love this question. how about a garden/farming/food theme - bees, flowers, animals (goats, horses, chickens, pigs, etc. ), vintage flour sack-y botanicals. . .
Fun question! I would love to see what matches the Alexander Henry Merry Mainstreet and Merry Moderns fabric. I would love to see a medley that is inspired by vintage typesets and findings! browns, coppers, black and knick knacks! Some of my very favorites are in there! I would love to see more robot themed fabric. 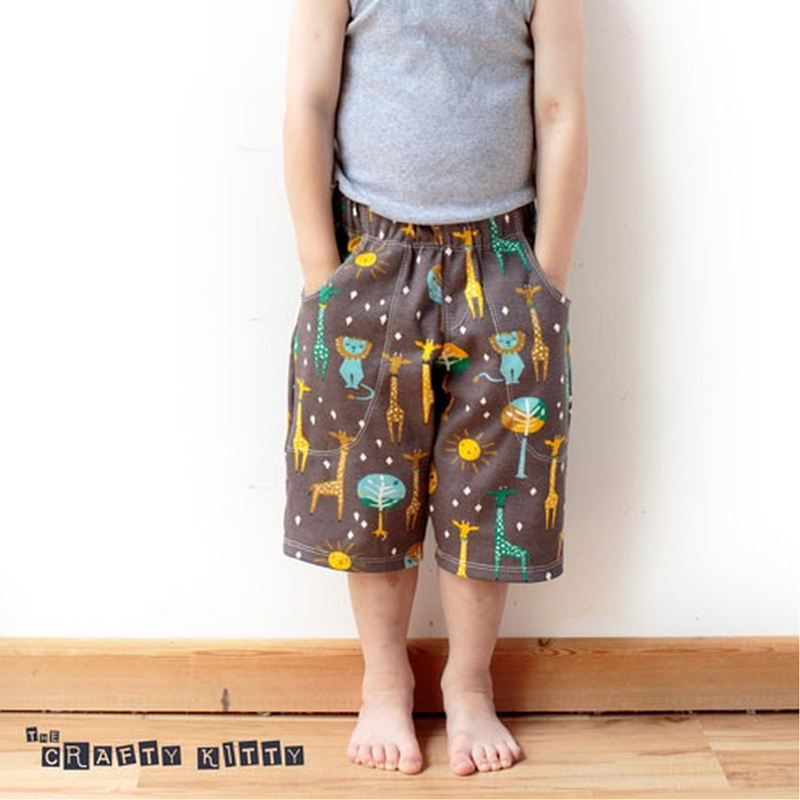 I have a little boy and am always on the lookout for great boy prints. Thanks for the chance. Camera's, the great outdoors and mud. Because me and the boy it and our wellies! 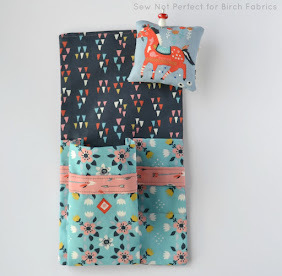 I know Helen Dardik has a line of her kitchen prints out, but I'd love to see more of her silly creature/animal prints (see her blog/website) turned into fabrics! They are wacky and fabulous!!! 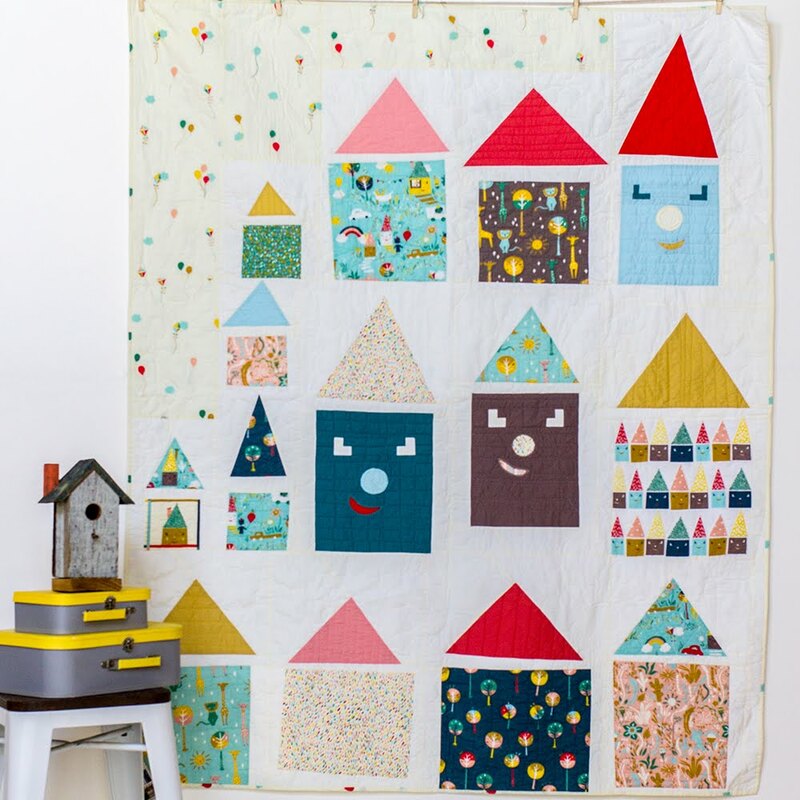 I'm drooling over those fabric scraps. A vintage fan theme would be cool-haha! I would love a Doctor Who theme with Daleks, Cybermen, stars, galaxies, and of course the blue box! Okay, I'd settle for plain 'ol robots. 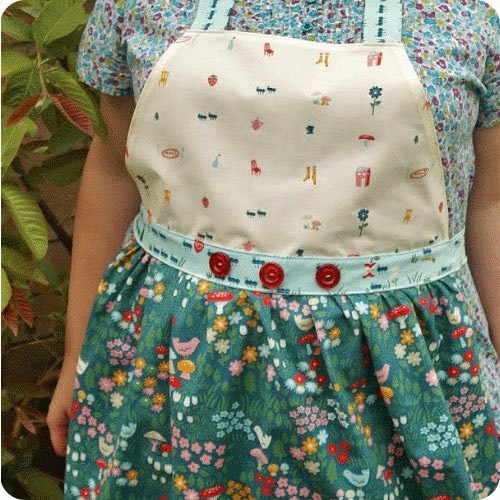 I'd love to see fabric with vintage kitchen utensils on them in a small-scale print. I think that would look great on aprons, place mats, potholders, curtains, and more! Okay so summer is pretty much over, but I'm not ready for it to be. So I would love to see somethign inspired by ships and the sea! I'd like a fabric theme based on mid-century atomic shapes! Birds and/or forest animals would be cute. I'd like to see a zoo theme! Something vintage or eclectic . . . what a fun giveaway! Since we are in the process of starting an organic farm, I'd say eggs! Or girls on tractors! Or something based on the 40's Victory Garden posters. Prints in those dark, weird, off colors that you see in Amish quilts, that work so well together when they seem like they shouldn't. Hmmm...I am planning a fall preserving and pickling weekend, and that brings back memories of my great aunt's preserves cupboard. How about a collection featuring those beautiful colours from jars of jams, jellies, bottled fruit, pickles and relishes? I’d love a 60's Mod Flower Power collection. Tractors and farmyards my little boy loves them. Tractor was the third word he said after mama and dada. I would love to make him a tractor quilt but have never found any fabrics suitable. Winter...... icy blues, cool greys, white. i look for ways to use your fabric because i love it all so much--but recently 2 things i couldn't find were airplanes and french toille... so themes along those lines would be great! A book on my shelf (Buechner's Secrets in the Dark) just caught my eye. What about a fabric theme about secrets or secrets in the dark? Thanks for the giveaway! I'd love a 1970'a theme! I so very much love fabrics that have no discernible theme - they just look incredible together. Perhaps a lovely spiral as a springboard for a whole line. In bright, but not baby colours. Yum. How about a jewelery themed bundle? Patterns of dots and chains, jewel tones, lots of good options! I'm getting ready for Fall and Christmas. I'd love to see a really funky modern Fall and Christmas bundle! 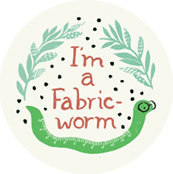 All things worm themed? 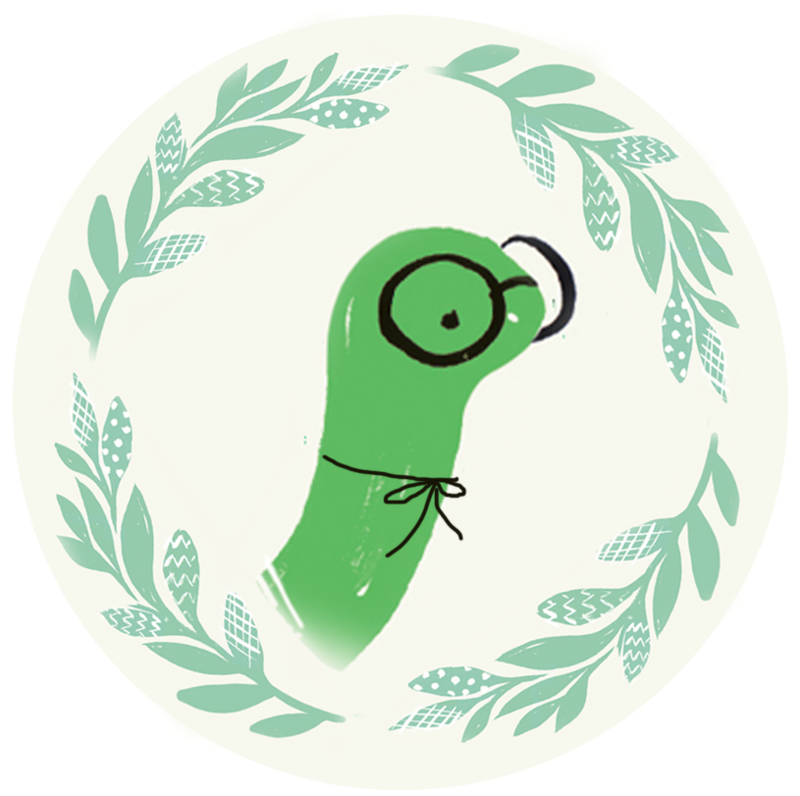 Things that worms like to eat (apples) things that like to eat worms (birds) leaves for worms to sit on. I would like to have a fabric with rusted buckets. Sort of scattered with a small scattered dot inbetween with a cream background. They would need to be far enough apart to embroider something coming out of them. Along with it I'd like all different types of bird baths scattered. I think trees and grass. Some really nice shades of greens, browns and yellows. Also oranges and greys. A vintage Carnival! 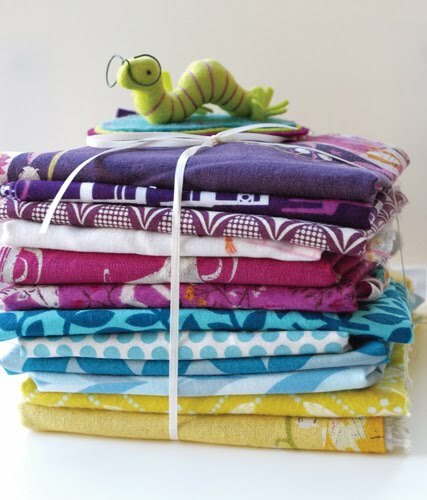 I'm picturing stripes, red, mustard, turquoise, bright pink, mint green, oh now I want to go and play with fabrics! How about an Autumn Morning bundle? Or Mulling Spices bundle? We're all looking forward to fall with its subdues tones and mulling-spicy smells! "Small world." I would love to see fabrics incorporating themes and patterns from different countries in a harmonious combination. I like the idea of a fall theme, but I just found out I'm having a boy so I'd say a nice boyish rough and tumble theme! I'm with Meg (also a librarian!) 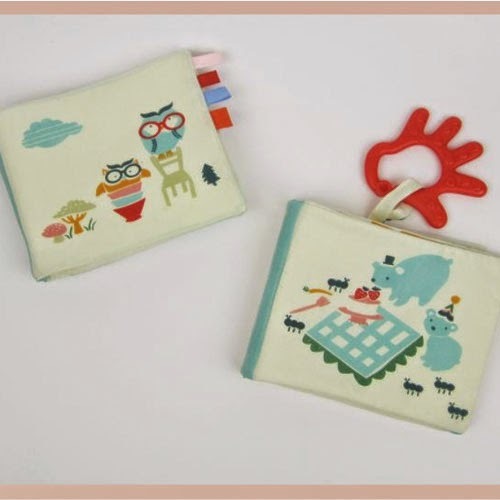 modern take on books, reading glasses, a book worm (ahem! Linus! ), etc. I would love to see a rainbow inspired bundle, with a different fabric in each colour of the rainbow!! I love this giveaway!! Ooh, lovely! "Stormy Day" came straight to mind, for some reason. I think an architecture theme would be awesome. There are so great architectural designs that fabrics could be inspired by. I picture blueprints. My older son's room is decorated in the theme of classic horror movies. Frankenstein, Wolfman, Dracula, Zombies. I know there was an awesome fabric once with this theme, but I can't find it anywhere. Any bundle with this would be such a cool boy themed bundle! I would love something that looks like it came out of my Mom's kitchen in the 70's- big florals in odd colors! I'd love a fabric line with the microscopic structures taken from nature - i.e. bacteria, cells, the tiniest life creatures - 19th century pencil drawing style. Guess it sounds weird and it's difficult to describe. I like biological structures, I guess. What do you do with the suggestions? I'd love to see something come out of it. I would love to have a fabric line based around the steampunk trend. Fabrics with cogs, wheels, innovative architecture! Too much fun! Great giveaway! Thanks for the chance. I'm a sucker for anything vintage, and I'm very excited about the start of fall, so I'll say that a vintage fall theme would be amazing! I love Greens and Turquoise(Green IS the new black you know)! To tie those colors together, a theme with something beautiful and peaceful. ~RAIN FOREST RIVER BUNDLE~ a few tropical birds for color...smash cool! I would love to see a low value bundle with grays or a bundle based on the Girl with the Dragon Tatoo series....not sure what would be in that one but it would be fun to see what it would look like! How about a Dark Chocolate theme? I could feel much better indulging in the fabric than the real thing! Funky, techno, computer prints with a touch of grunge. It's not easy finding fabrics for boys over 10. I love polka dots, any color any size! How about the unusual mix of animals (elephants, giraffes, etc) and lush floral fabrics, with a few spots thrown in? Oh I would love a "Crunchy Leaf" theme. I am thrilled about my favorite season approaching, Autumn. When I think Autumn I think gray, burnt orange, maroons, brown. These colors awaken my senses! stripes! skinny, fat, thick, thin, multi-color, monochrome, horizontal, vertical. How about the new Seuss line? I am all about polka dots too so I'd love to see a bundle of all dots also. Autumn. Or maybe even just seasons. I'm a vintage girl at heart, so I'd love to see something vintagey or retro! Something with a retro vibe. I really wish someone could come up with a really cute line of science-y fabrics. Unfortunately I myself don't have any really great ideas for one, but if I saw one I'd be all over it! Vintage floral. I'm a sucker for vintage floral. Seashells. Seashells by the sea shore! I'd love a Tudor themed collection, with sumptuous reds and purples and damask patterns, with even some gold or fabric with a pearlescent sheen thrown in! I think it would feel so decadent it would be inspirational! my son is really into minerals right now, I'd love some gems and rocks... i'd never noticed before how many colors and textures are in simple ROCKS! I love children's books and would like to see a fabric set based on either the Richard Scarry books or Rosemary Wells' books including MAX AND RUBY!!! 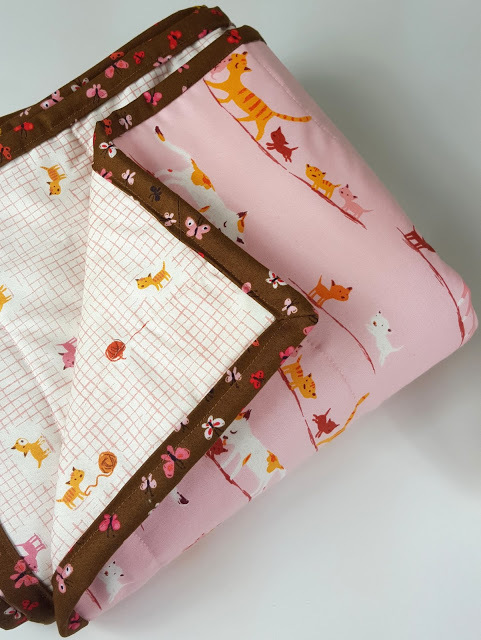 So in love with pink/orange fabric combos. Would be great to see what you can pull together in those colors. 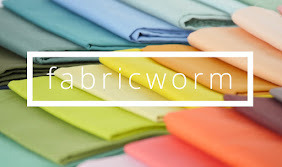 Love FabricWorm! how about "lots of pretty little colorful bits to brighten up fall"? last fall i made my daughter a warm coat and it brightened up every single gray german winter day for us. i'm looking to make one for each of my girls again this year and would love to see your interpretation of what brightens up fall for you. I love the earlier suggestion of vintage flea market.... neutrals with a bit of blues and reds.... thanks for the giveaway. TIME OUT! Don't know if there are a lot of fabrics to support it, but a bundle with clocks, watches, and other reminders of the passage of time would be awesome. Am I disqualified if I suggest two? How about a peek-a-boo bundle. Lots of neat shades and glasses fabrics. I'd love to see a boy themed stack that doesn't include sports! Just lots of blues and greens - maybe robots, etc. How about a swimming theme? 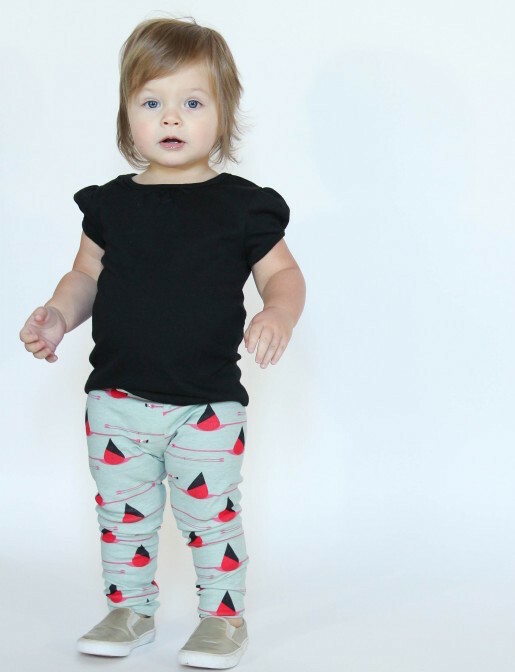 Could include sea creatures, beach accessories, water-inspired prints and coordinating solids. Thanks for the giveaway! Definitely anything for boys, lots of vehicles, bikes, robots, spaceships, sports and something that isn't predominantly blue! I would love to see an autumn colors collection-- Maybe it would help me get over the fact that summer is ending!